The last train left on 30th June 2011 – This week, I managed to find time to fly back to Singapore to take my first & last heritage railway walk before the 38km-track is removed by the end of the year. 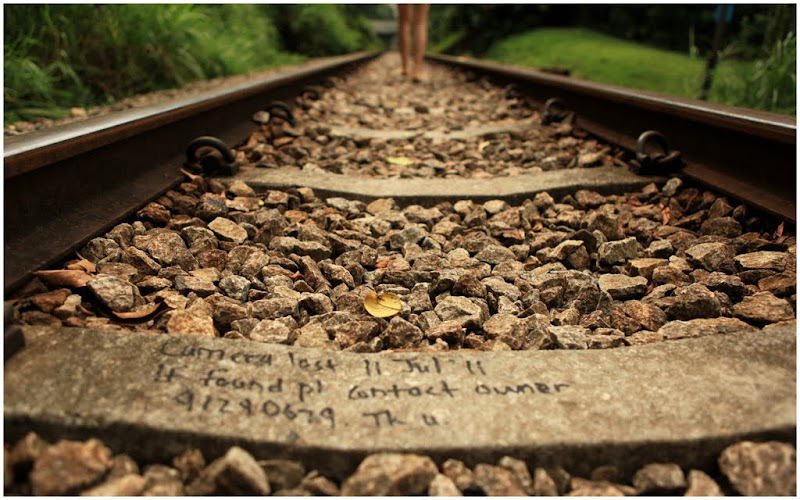 Currently known as the “Green Corridor” of Singapore, this stretch of railway was owned by Malaysia. Singapore finally won back this stretch of land after many years of shaky negotiations. 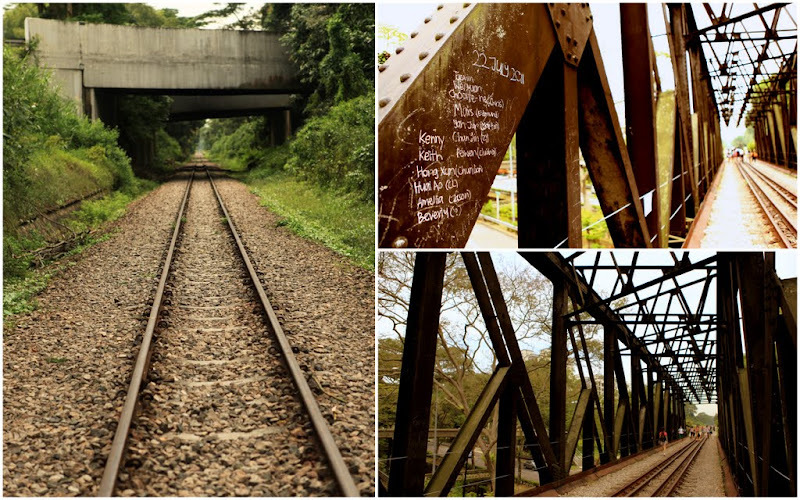 Already, many portions of the old Singapore-Malaysia railway track have been barricaded and dismantled. This afternoon, we hopped on a cab and told the taxi-driver to drive us to the railway track. The driver gave me a blank look and said all tracks are barricaded. 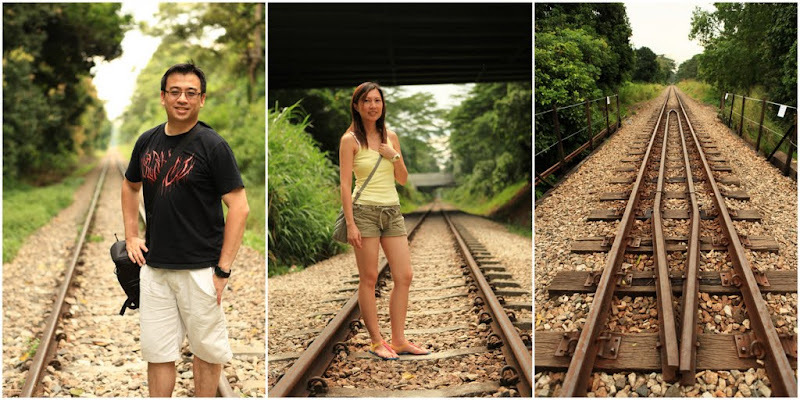 We decided to try our luck at the 79-year-old Tanjong Pagar Railway Station – hopefully to find a way to “sneak inside”. When our cab arrived at the station, there was clearly no way we can sneak into the station. I started to search on Google for recent blogs and news. Unfortunately, many of the links didn’t reveal “access point” to the tracks. 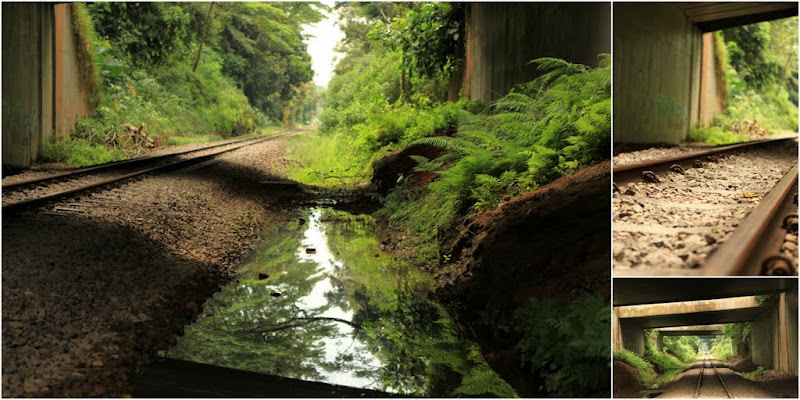 Out of desperation, I scanned the Google Map to trace the railway track – and I managed to recall an access point at Rifle Range Road. And I was right. It was Friday afternoon and we were surprise to see a lot of people at the track. We saw 2 big groups of students and many young couples strolling along the track. It was pretty hot today but the dense vegetation shaded us from the baking sun. It was quite a cooling walk. Like us, many were here to experience their first and last railway walk. 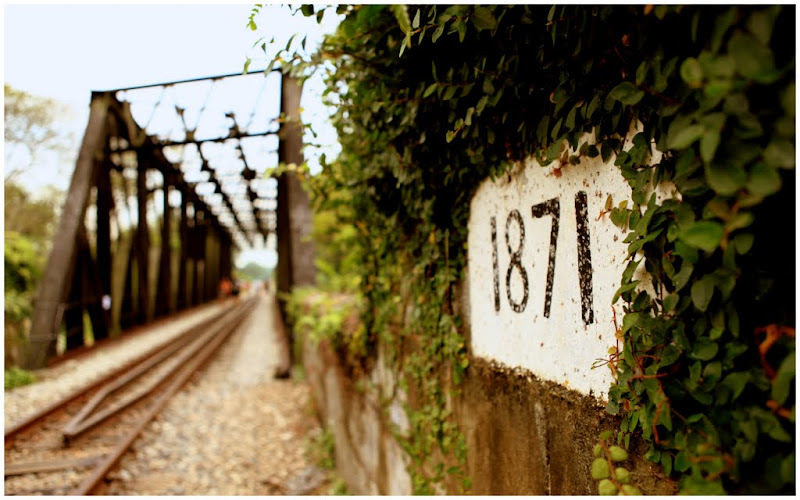 Some even marked their names on the 100-year-old bridge. We saw many “casualties” on the track. 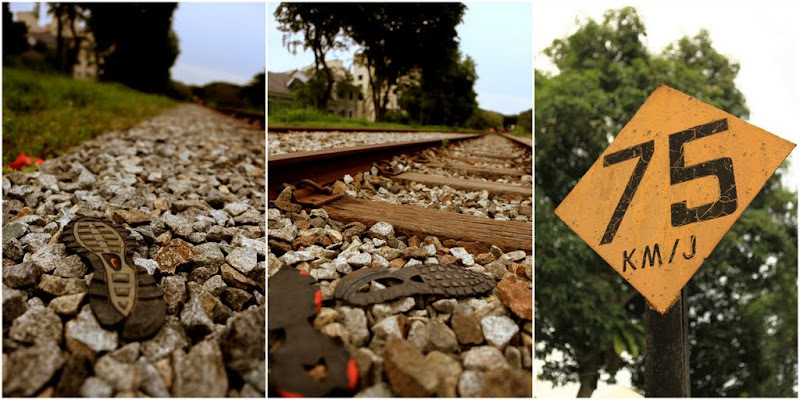 Not road-kills but discarded soles from famous sport brands. Guess the graveled-track proved too strenuous/deadly for the common sports shoes. The rocky path was indeed difficult to walk. But it is worth preserving the “Green Corridor” for our next generation as it is part of our heritage. 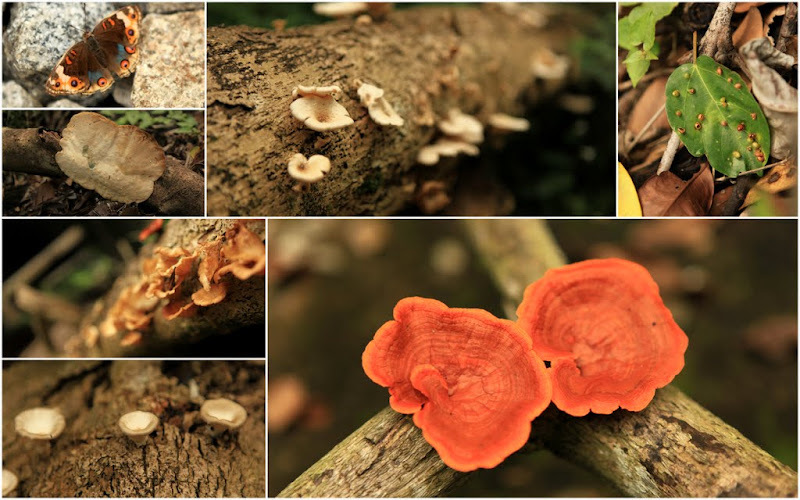 Along the track, I spotted many species of butterflies, bugs and wild fungus. It was an extraordinary hike for both of us. We covered only 2km (50mins) and exit at Bukit Timah Reserve. Are you back home ?